History - Dr Dirk grew up in Park Ridge Illinois a suburb of Chicago, and attended Main South High School where he graduated in 1972. He did his undergraduate studies at Western Illinois University while on a Gymnastics scholarship. He then transferred to National College of Chiropractic, now National University of Health Sciences, where he completed a Bachelor of Sciences Degree in Human Biology and Doctorate of Chiropractic in 1978. After graduating he and his wife Mary Jo moved to McAllen, where Dr. Martin started practicing chiropractic. He is the proud father of two children, Shannon and Dirk Jr, both of whom were born and raised in McAllen. 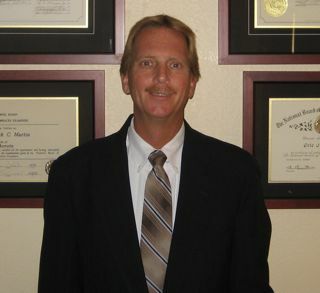 Dr Dirk has practiced in McAllen now going on 30 years. Chiropractic Story - Dr Dirk is a 3rd generation Chiropractic Doctor and is 1 of 5 brothers from his family whom are all chiropractors. He was brought up with Chiropractic care and learned the benefits of a healthy spine and nervous system early in life. One experience that inspired him to become a chiropractor was when he had a severe low back disc injury in college gymnastics. This injury occurred shortly before his highly competitive National Gymnastics competition. He was treated by his Dad with chiropractic care and was able to compete the rest of the year. This gave Chiropractic a whole new meaning to him and shortly after this he started his Chiropractic education. The natural conservative approach to health, without the use of drugs, and the overall effectiveness of care appealed to him on a very personal level. 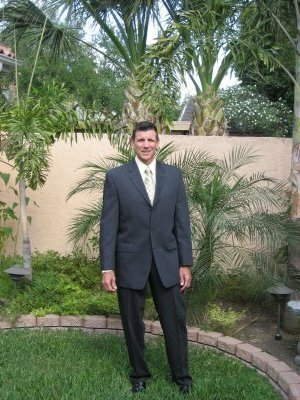 Wellness Lifestyle - Dr. Dirk has been a leading example in the valley of the true wellness lifestyle. Dr. Martin has been cycling competitively for 36 years both nationally and on the state level, and even competed in the World Championship Ironman Triathlon. In 2004 he was the Texas State Champion competing in the expert master class and qualified for the United States Masters Mountain Bike World Championship Team. These experiences have helped his commitment to Chiropractic wellness care for both himself and his patients. Community - Dr Dirk was Scoutmaster of Troop 68 for 6 years and has been involved in the local Boy Scouts Program for 17 years. He is a Silver Beaver award winner, the highest honor a volunteer can receive from scouting, and today continues to teach outdoor survival skills. Martin Chiropractic Clinic - His practice has revolved around patients of all ages from infants to patients as old as 103 years. He loves family practice, geriatrics, and sports related cases. He helps with coaching and has a Chiropractic Wellness Model that emphasizes nutrition, adjustments, and exercise. He firmly believes that all people should have a Chiropractic exam of their spine and nervous systems to see if there is any interference that could cause problems for them now or in the future. Training - Dr Dirk has been a member of the Texas Chiropractic Association and the American Chiropractic Association for the past 29 years. He was trained by Dr Clarence Gonstead the originator of the Gonstead technique in Mt Horeb Wiconsin, and Dr Lee and Dr Arlan Fuhr the co-originators of the activator technique. Dr Martin will combine this training, his years of experience, and a knowledge of chiropractic wellness care to help your body function to its full potential. History - Dr Eric Martin grew up in a Northwest Suburb of Chicago, IL where he did his under-graduate work. He is the 4th born in family of 6. In 1981 he married his wife Kristie Martin and then moved to the DFW metroplex in Texas. He then attended the prestigious Parker Chiropractic College and graduated in 1986. After graduation Dr Eric moved to the Rio Grande Valley and joined the Martin Chiropractic practice with his brother Dr. Dirk. He has been practicing here in the valley ever since. He is the father of two boys that are also pursuing careers in the chiropractic profession. Chiropractic Story - Dr Eric is a 3rd generation chiropractor. His grandfather, father, and great uncle were all chiropractors. Also, he has 4 brothers and 1 nephew that all currently practice chiropractic. With so much history in the profession, Dr Eric learned the art of chiropractic from his family, which has been passed down for generations. Wellness - Dr Eric enjoys staying fit. He runs daily, enjoys paying golf and loves to be out on the water fishing. Chiropractic Treatment - Dr Eric stresses that the combination of the chiropractic techniques used in the Martin Chiropractic clinic, combined with the new technologies available at MCC, separates this clinic from many others in the Rio Grande Valley. Dr. Dirk Martin Jr, D.C.